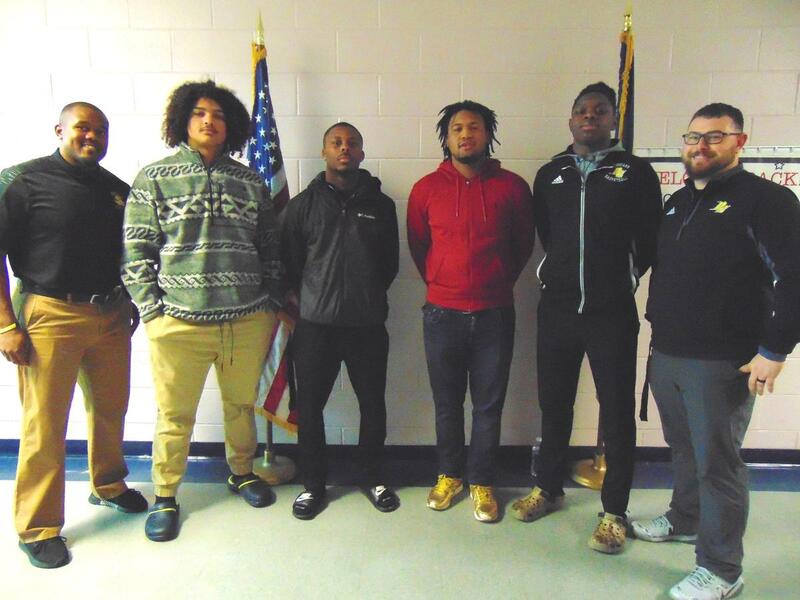 During the January meeting of the Pamlico County Board of Education, the 2018 Pamlico County High School Hurricanes Football Team was recognized for having an outstanding season and advancing to the NCHSAA State 1A Championship Game. The Hurricanes Football Team had an exemplary record of 10-1 for the regular season (finishing 13-2 overall) and advanced all the way to the State 1A Championship game in Durham on December 15th. This was the first time in the school district’s history that a football team has played in the State Championship game and it was well attended by Pamlico Fans. Representing the football team were Team Captains, Lamont Murray, Yasir Jones, Javon Armstrong, Head Football Coach, Torrey Nowell, and Assistant Football Coach, Bryan Laney. 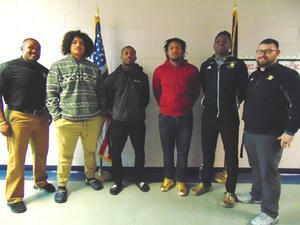 Pictured: (l-r): Coach Torrey Nowell, Javon Armstrong, Lamont Murray, Yasir Jones, George Jones, and Coach Bryan Laney.